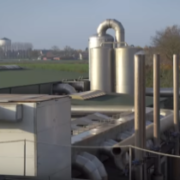 Disposing of digestate represents an important cost for organic waste-treatment plants. Each year, the SYSTEMIC demonstration plant AM Power generates 160 kt of digestate and strives to treat it in a cost-effective, efficient and relatively simple way, without a loss of nutrients. 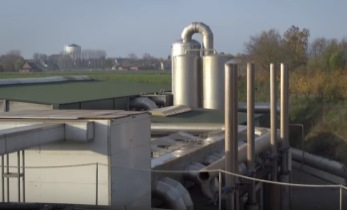 The plant has developed a technological solution for the recovery of nutrients into valuable fertilisers, which relies on a Dissolved Air Flotation (DAF) unit prior to a Reverse Osmosis (RO) step. AM Power is currently focusing on improving the RO efficiency through the installation of an evaporator, which will ensure a water reduction of 75%. This will result in reduced costs for digestate storage and transport. Moreover, a bio-fertiliser, called ammonium water, will be generated and made available on the market as nitrogen mineral fertiliser or blended to generate tailor-made fertilising products. The first part of the evaporator has been constructed and preliminary tests have started. The complete installation will be fully operational in the summer of 2019. The quality of this product, together with its agronomic and environmental properties, will be investigated in collaboration with the Ghent University, within the framework of the SYSTEMIC project.